Marianne Elliott directs Company, Stephen Sondheim and George Furth’s musical about life, love and marriage. Elliott & Harper Productions present this iconic musical comedy with the lead role of “Bobby” re-imagined for the first time as a woman. At Bobbi’s 35th birthday party all her friends are wondering why isn’t she married? Why can’t she find the right man? Why doesn&apos;t she settle down and have a family? One thing is for certain; you will fall in love with Company. 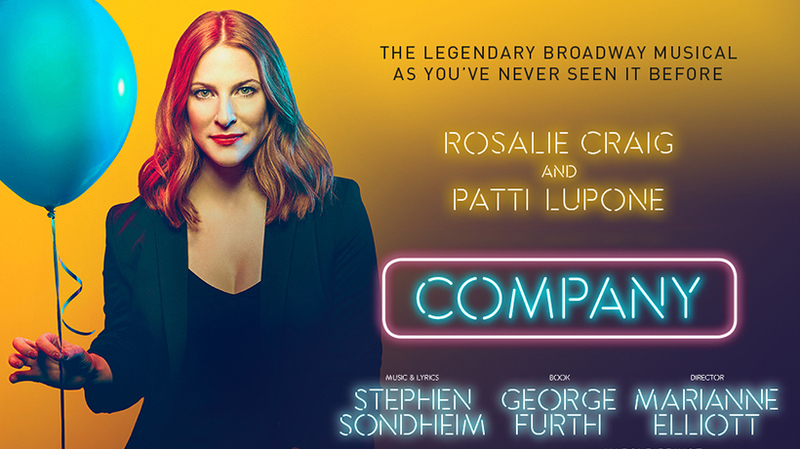 Starring Rosalie Craig as Bobbi and Tony and Olivier award-winner Patti LuPone as Joanne, this musical masterpiece opens in September 2018 at the Gielgud Theatre for a strictly limited season.